It’s been a while since I finished writing Chess Structures, but I like the topic so much that I keep coming back to it – I know how much it improved my understanding of chess. I follow games on Chessbomb pretty much daily and I really enjoy it when I see a nice ‘structure-concept’ being applied. Often these games reproduce ideas shown in the book almost identically, while sometimes there are small (yet very important!) differences. So I thought, why not start a blog in which I will, once in a while, post a game which builds upon the ideas I shared with the readers of my book. John Shaw was kind enough to publish this post on the Quality Chess blog. 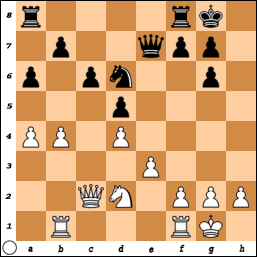 White deviates from theory, possibly to prevent …Ne4. This is a little imprecise since quickly playing b2-b4-b5 should be the priority. 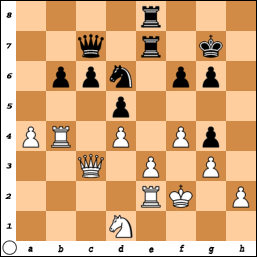 Normal was 11.0–0 to follow up with Rab1, b2-b4-b5, and if 11…Ne4 12.Nxe4 dxe4 13.Nd2 Nf6 14.Rab1!? 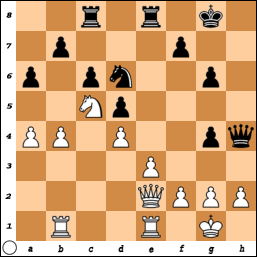 we have transposed to Chapter 20, the French Type II (with colours reversed) where White’s prospects are good, since the break b4-b5 is easy to carry out, and Black lacks material (and moves) to create serious kingside threats. If 13.Rab1 then 13…Bg4! 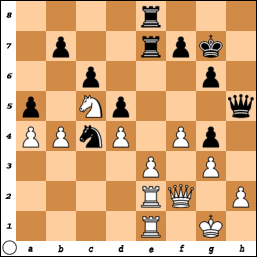 14.Bd3 Bh5 is similar to the game. Black is aiming to trade light-squared bishops, which is a good idea. A standard reply, to trade off a-pawns, getting rid of a potential weakness. If 15…Bg6 then 16.Bxg6 hxg6 17.b5!? would typically create problems for Black, since both the a7- and c6-pawns can become weaknesses, however White’s play has been imprecise, and after 17…Rfc8 18.bxc6 Rxc6! Black has good counterplay (but not 18…bxc6? when White is a little better). After 16.a4 Bg6 17.Bxg6 hxg6 the standard 18.b5?! is met strongly by 18…cxb5 19.axb5 a5! with an edge. Black has a passed pawn, making White’s entire enterprise a failure. My favourite moment in the game; Pogonina is doing well, but now how should she stop a4 and b4-b5? 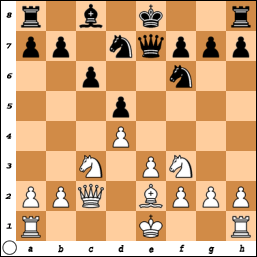 The position is almost identical to the game Onischuk – Dominguez (annotated in Chapter 5). White’s queenside play is no longer dangerous. The big difference between this game and the one in the book is that here Black has a half-open h-file, creating better prospects for kingside play. White continues a futile attempt at queenside play. If instead 21.Rfe1, trying to simplify with e3-e4, then 21…Rfe8! and White is unable to escape from her inferior position. 21…Rfe8 22.Qd3 Rac8 23.Nb3 g5! Black begins the kingside action! Black has an easy plan: …Kg7, …Rh8, …Qh4 and a checkmating attack. Meanwhile, has White made any progress on the queenside? White neutralizes the kingside attack, at the cost of a permanent weakness on e4. More solid was 27.g3 Qg5 28.f3 gxf3 29.Qxf3 Kg7 when Black has just an edge. 30.e4? would not help after 30…dxe4 31.Nxe4 Qd5! 32.Nxd6 Qxd4+ 33.Kh1 Qxd6–+. 30…Re7 31.Qf1 Nc4 32.Rbe2 Rce8 33.Qf2 a5! Black is clearly better. White’s forces are tied down, and Black creates a second front of attack. As it turned out, only Black was able to create threats on the queenside. The rest of the game bears less relevance to my topic, so I will leave it almost no comments. All of Black’s dreams have come true and another diagram is in order! Or 57.exd4 Re1+ 58.Rf1 c4! 59.Qd2 Rxf1+ 60.Kxf1 Qh1+ forces checkmate. Black’s central pawns begin to roll, deciding the game nicely. I don’t know about you, but finding this game made me really happy! 1. A tiny structural difference (the capture …hxg6) gave Black good kingside prospects at absolutely no risk. 2.To nobody’s surprise, placing a knight on d6 to stop White’s queenside play proved effective once again. Feel free to leave comments, suggestions or questions. If you liked this blog post, click “Follow” at the top of the page to receive an email once a new blogpost is out. I will try to post once per week.